Ward Member(s) (maximum of 5 minutes). 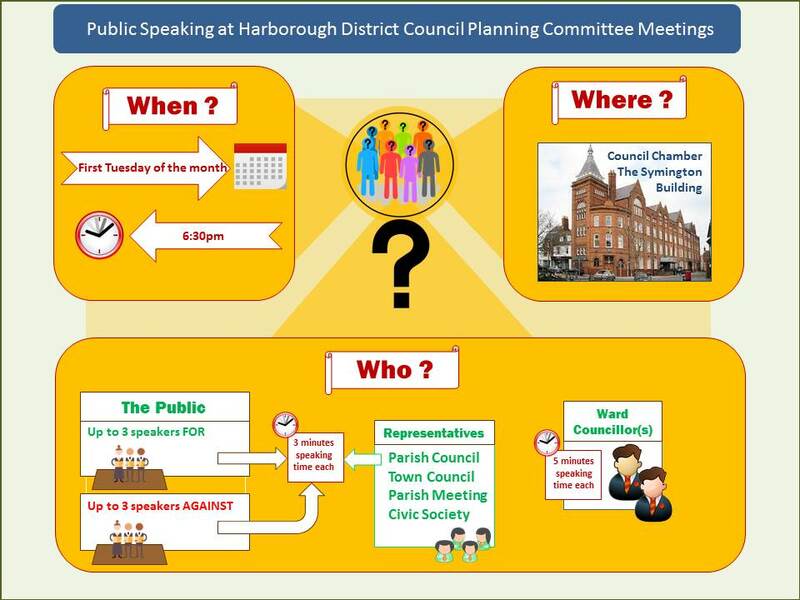 If you would like to speak at a Planning Committee meeting, you must request to do so in writing or by telephone by 12 noon not less than 2 working days before the meeting (for example, if the Planning Committee is on a Tuesday and the day before is a bank holiday you must submit your request by 12noon on the previous Thursday). 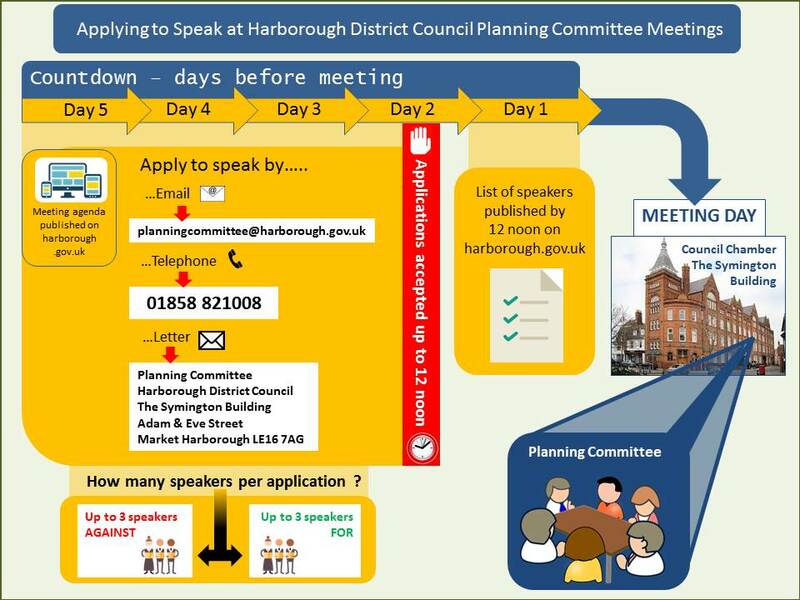 Email planningcommittee@harborough.gov.uk ensuring that your email contains the application number, your name and contact details, whether you are an objector or supporter of a proposal, a representative of the Parish Council / Parish Meeting / Town Council / Market Harborough Civic Society or Ward Member and an indication of the topic area you wish to discuss or contact Planning Admin on 01858 821008. Requests to speak will not be accepted until after the publication of the relevant Planning Committee agenda. Requests will be accepted on a first come, first served basis. The Speakers List will usually be published online by 12 noon, 1 working day before the meeting. Speakers' contact details will not appear on this list.